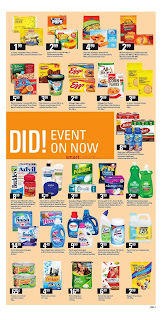 Zehrs Canada Flyer January 25 - 31, 2018 - PC Little Gems Mini Potatoes Ruby, Golden Or Mixed $2.99 Sale Price Product of Canada, Canada no. 1 grade. 680 g. Extra Large Red, Orange Or Yellow Greenhouse Sweet Peppers $4.49/lb Sale Price $9.90/kg. Product of Mexico. PC Whole White Mushrooms $1.99 Sale Price Product of Ontario. 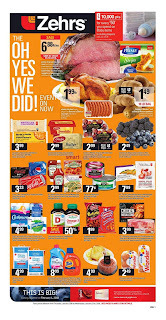 227 g.
Zehrs Canada Flyer Blueberries $5.99 Sale Price Product of Chile no. 1 grade. 18 oz. PC Blood Oranges Or Farmer's Market Lemons $5.99 Sale Price Product of U.S.A. 2 lb. Large Navel Oranges $1.79/lb Sale Price Product of U.S.A. $3.95/kg. Royal Velvet Pillow Model #: 21080273/21080310 $17.00 Sale Price Buy 1 royal velvet pillow at $17.00 get the second royal velvet pillow for $1.00. 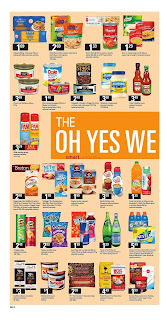 PC Blue Menu Sparkling Water, Nestle Pure Life Water $2.99 Sale Price PC blue menu sparkling water 12 x 355 ml selected varieties, nestle pure life water 24 x 500 ml. 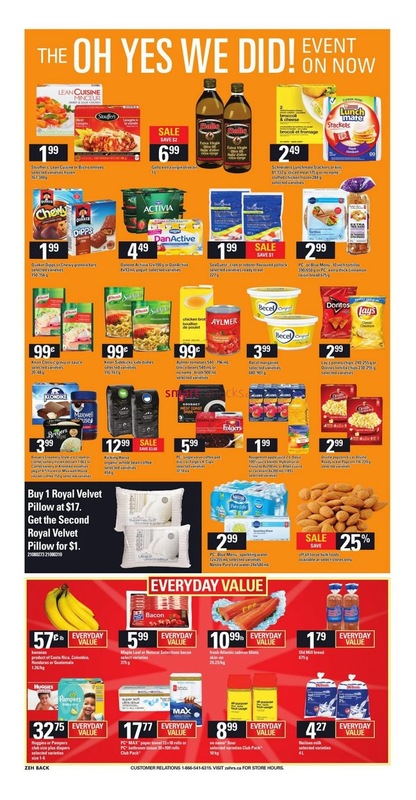 Off All Loose Bulk Foods 25% Savings Available at selected stores only. Bananas $0.57/lb Sale Price Product of Costa Rica, Colombia, Honduras or Guatemala. $1.26/kg. Fresh Atlantic Salmon Fillets $10.99/lb Sale Price Skin-on. $24.23/kg. Everyday value. Neilson Milk $4.27 Sale Price Selected varieties. 4 L. Everyday value. 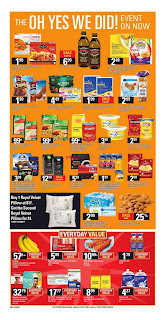 Zehrs Flyer No Name Flour $8.99 Sale Price Selected varieties. Club pack. 10 kg. Everyday value. 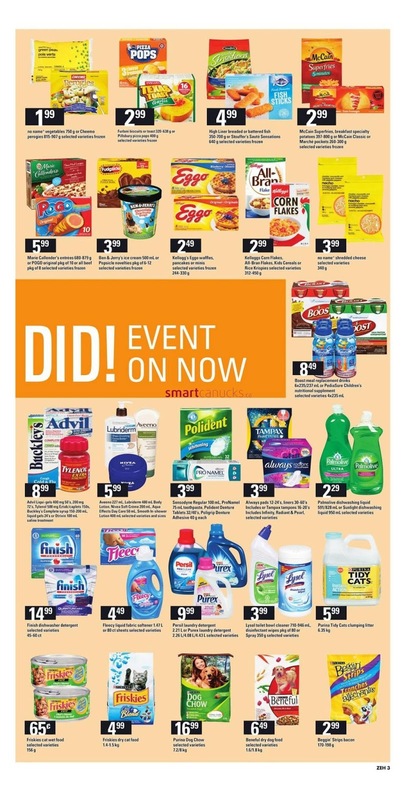 Stouffer's, Lean Cuisine Or Bistro Entrees $1.99 Sale Price Selected varieties frozen. 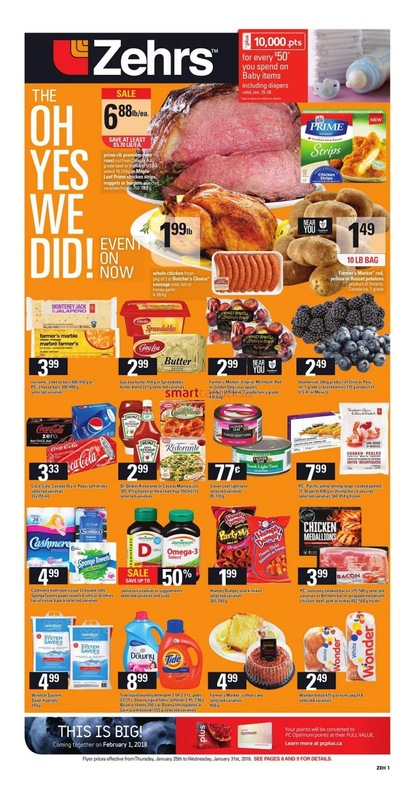 167 - 340 g. Schneiders Lunchmate Stackers Or Kits, Sliced Meat Or No Name Stuffed Chicken Frozen $2.49 Sale Price Schneiders lunchmate stackers or kits 81 - 132 g, sliced meat 175 g. No name stuffed chicken frozen 284 g. Selected varieties. Kicking Horse Organic Whole Bean Coffee $12.99 Sale Price $3.60 Savings Selected varieties. 454 g. PC Single Serve Coffee Pod, Discs Or Folgers K-Cups $5.99 Sale Price Selected varieties. 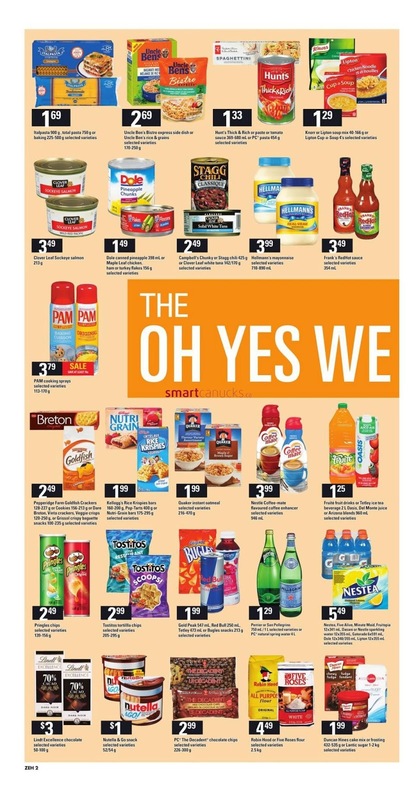 12-14.Rougemont Apple Juice, Oasis 100% Juice Blends, Hydrafruit Or FruitZoo Juice Or Allen's Juice Or Cocktails $1.99 Sale Price Rougemont apple juice 2 L, oasis 100% juice blends, hydrafruit or fruitzoo juice 8 x 200 ml. Allen's juice or cocktails 8 x 200 ml. Selected varieties.